There are very few things that I hear photographers bitching about more than camera straps, or their struggle to find a good one. I may or may not have been one of those photographers at one point or another. I've tried a good amount of camera straps over the years and never found one that looked good but was also comfortable to wear. I know, I know, the ones with all the little pockets for memory cards and your license are nice and all, but... yes I'm kidding. But Jay, you wrote a review about how much you love your Moneymakers, what are you talking about? The Moneymaker isn't a camera strap, it's a holster, that can also double as part of my cowboy Halloween costume. 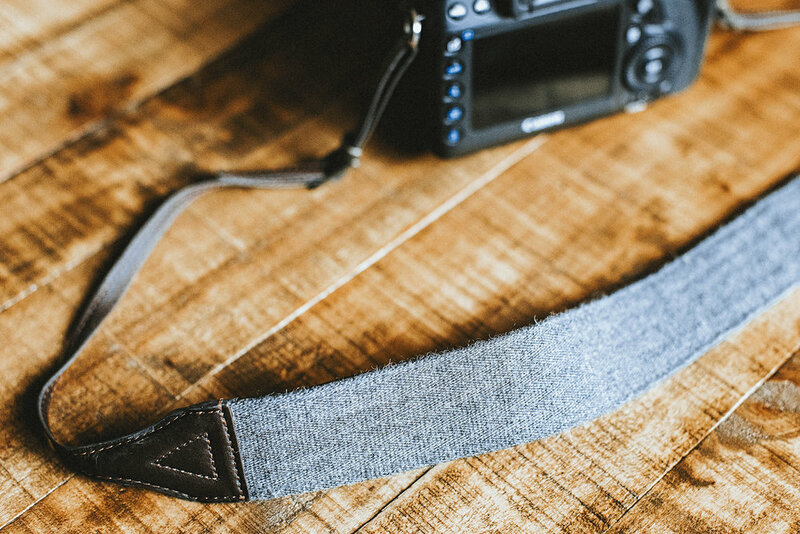 While finding a good camera strap seems to be a popular topic of conversation on message boards and social media, there's far from a shortage of options out there. There's also plenty of photographers out there that I see sporting those fancy manufacturer straps that actually come with the camera. Besides wanting to show off the camera you're shooting with, there really isn't a worse camera strap you could be using. But, there are also no cheaper options out there, so... I get it. I can truthfully say that I haven't had a camera strap stay on one of my cameras for more than a couple weeks since I started shooting 6 years ago. I've tried a good amount of them, just could never quite find one that I liked. Even though I don't really have a desire to use one on any of my DSLR's, my wife does. I typically only shoot my DSLR's at weddings, and my Moneymaker is my go-to for shooting those. My Leica gear is where a good strap would come in handy, and I've struggled to find a good one. I shoot with my Leica M a good amount at weddings and just about all of my personal work, so I've had a good number of camera straps come and go. Since I had a destination wedding coming up, I was ready to try again. 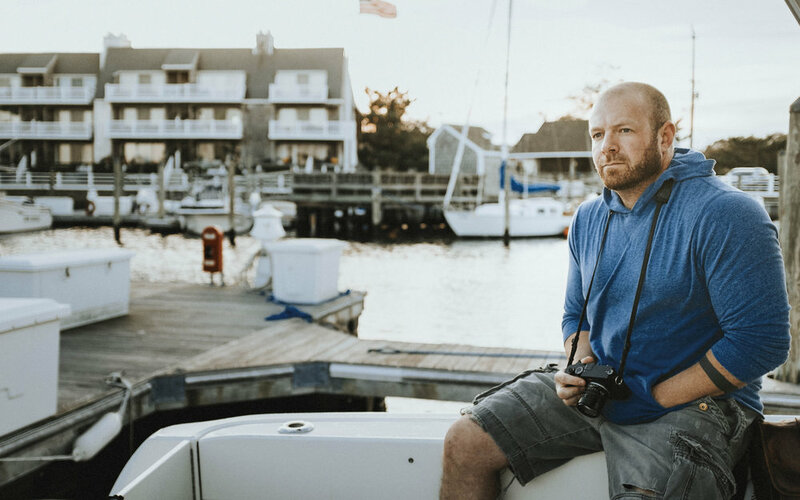 I remembered reading a review on SLR Lounge by my good friends Andy and Amii Kauth, from Sunshine and Reign Photography, about the Cecilia camera straps that they use. So, with a few weeks before my trip, I decided to give them a try. After a few weeks of using the Cecilia straps, one for my Leica M10, and another for my wife to use with her 5D MarkIV, I can finally say that I found a camera strap that I like. It not only looks good, but it's also comfortable to wear and durable. It's made of high-quality Argentinean cowhide leather with stitching that can take a beating without having to worry about it coming apart. The thin part of the strap is just the right size so that it doesn't get in my way, with a thicker neck support section that has a small amount of padding to make it comfortable yet not bulky. The opposite side of the leather, on the thicker neck support area also has a good looking wool like texture made from Peruvian alpaca fiber. How do I know all this? I liked the straps so much that I reached out to the owner and had him tell me about the company and how he came up with the design of the straps. Now that I know a little more about the company and know that most of the Cecilia products are handmade... I like them even more. The Cecilia Camera straps aren't going to be the most versatile straps on the market, but there are tons of options out there if that is what you're looking for. Black Rapid straps are probably the most popular for those looking for versatility. I personally haven't like those either, but that's just me. The Cecilia strap, however, is an awesome looking and durable leather camera strap that is actually comfortable to wear around your neck. There are many different styles to choose from and different options for different cameras, as you can see from the photos above. After 6 years, this is the longest both my wife and I have had camera straps on our cameras. Not only that, but it's rare that both of us like the same product, so that alone is saying something, ha. After I fell in love with the their camera straps, I decided to see what else they had to offer. One of the products that the owner had mentioned during our conversation was the full-grain leather laptop skins. I've never put any kind of skin or cover on my Macbook Pro, I've honestly never seen any that I thought really looked all that good. A leather skin? That was more my style. So, I ordered the Montana Cocoa color leather skin and just like the camera straps, that hasn't come off either. It was easy to put on, and just because I was nervous about it coming off, I took it off a few days later. Underneath, there was nothing left behind from the skin, and surprisingly it went right back on with no trouble. One of the toughest products to write a review on is a camera strap, for the same reason that it's difficult to review a camera bag. Personal preference along with style and taste can be a big influence in whether or not the reviewer likes a product. I have always tried my best to review products as honestly as I possibly can, while also being sure to explain the reasons why I like or dislike a product. For me personally, the products that I choose to use also have a lot to do with the people that stand behind and represent them. Not only does the Cecilia company make high-quality products that I personally like, but the company is one that I have a good amount of respect for. A big reason for that is they are focused on the photography community and strive to promote the work of photographers while also building relationships with them. 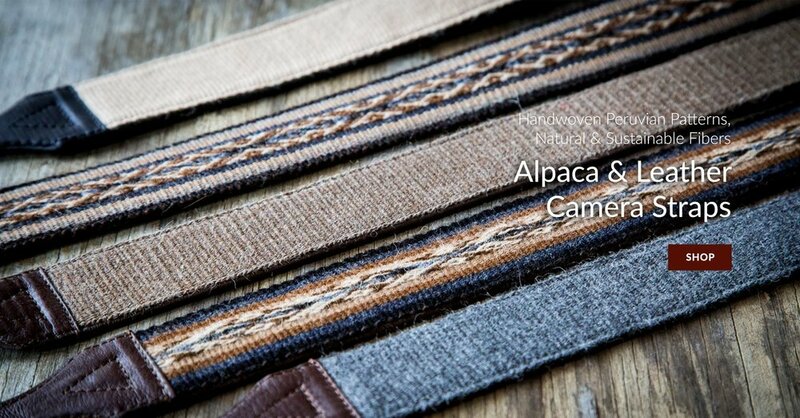 If you are looking for a good camera strap, definitely give the Cecilia straps a look.